As the holiday season kicks off, beginning with the celebration of Thanksgiving, millions of Americans join together with family and friends in homes and restaurants all over the country. On “turkey day” we consume epic portions of traditional favorites, seasonal dishes, and flavorful desserts. And we can be thankful not just for our food – but also to know that everything on our table is safe to eat. This is because our country’s government agencies – the Food and Drug Administration (FDA) and the Department of Agriculture (USDA) – determine the safety and protect the quality of what ends up on our plates and in our cups. Monosodium glutamate (MSG), a common flavor enhancer added to foods, is the sodium salt of the common amino acid glutamic acid. Glutamic acid is naturally present in our bodies, and in many foods and as a food additive. FDA has the primary legal responsibility for determining the use of food additives and is required by law to review all new food additives for safety before they can go on the market. Today, food additives are more strictly studied, regulated and monitored than at any other time in history. MSG, like all other ingredients added to food in the United States, has been determined to be safe for consumption or it would not have been approved for use by the FDA. 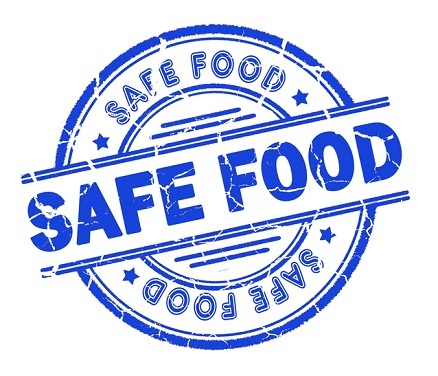 FDA considers the addition of MSG to foods to be “generally recognized as safe” (GRAS). Glutamate occurs naturally in many foods, such as tomatoes and cheeses. And people around the world have eaten glutamate-rich foods throughout history. One example is an Asian glutamate-rich seaweed broth. In 1908, a Japanese professor named Kikunae Ikeda was able to extract glutamate from this broth and determined that glutamate was the compound providing the savory taste to the soup. Professor Ikeda then filed a patent to produce MSG and commercial production started the following year. Will glutamate be on your Thanksgiving table? Yes! An average adult consumes approximately 13 grams of glutamate each day from the protein in food, while intake of added MSG is estimated at around 0.55 grams per day. The glutamate in MSG is chemically indistinguishable from glutamate present in food proteins. Our bodies ultimately metabolize both sources of glutamate in the same way. Interestingly, scientific research has shown that MSG may actually be useful in reducing sodium consumption while not compromising taste. Salt is considered a fundamental additive to good tasting savory foods, and MSG can make an improved taste, with less sodium. So this Thanksgiving be thankful for the many wonderful flavors in your food, including glutamate. Enjoy your celebratory meal knowing that MSG is a safe way to “pump up the taste volume” in gravy, stuffing, and vegetables this holiday season. And all year round! Althea is a registered dietitian/licensed nutritionist and an accomplished health education and communications professional. Althea has 30 years of experience delivering nutrition messages to university, professional, and worksite audiences. She served for 9 years as a national spokesperson for the Academy of Nutrition and Dietetics and has served as an adjunct professor of sports nutrition in the graduate school at Drexel University. Althea enjoys connecting the enjoyment of food with good nutrition. Read more about her background on the About page. Previous PostMSG: Weight gain? No! Weight management? Maybe. Flavor? Absolutely!